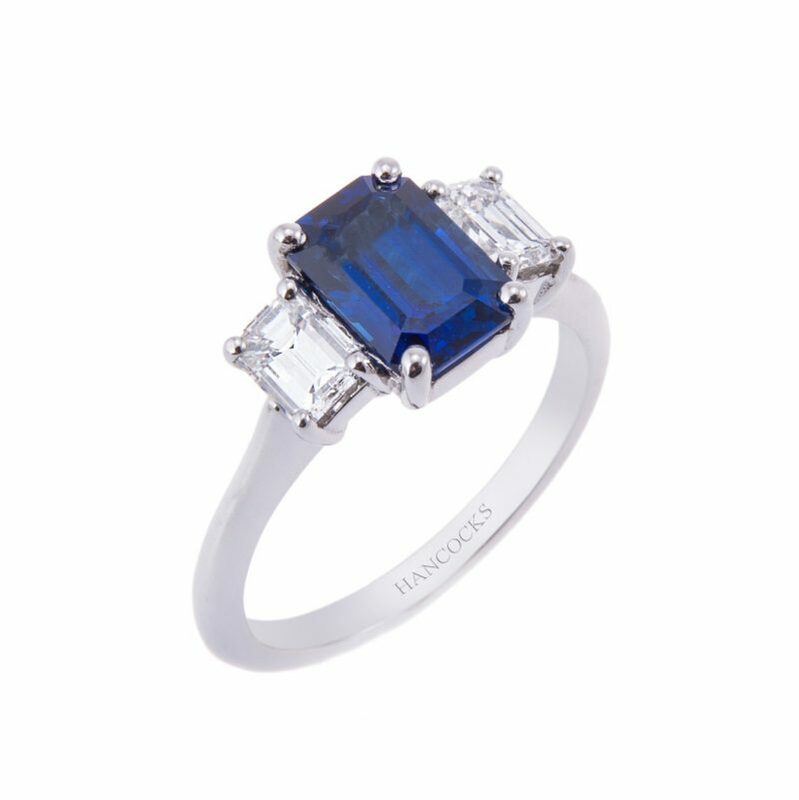 A central emerald cut sapphire whose unusual shape is reflected in the choice of radiant cut diamonds either side, all mounted in a handmade platinum four claw setting. 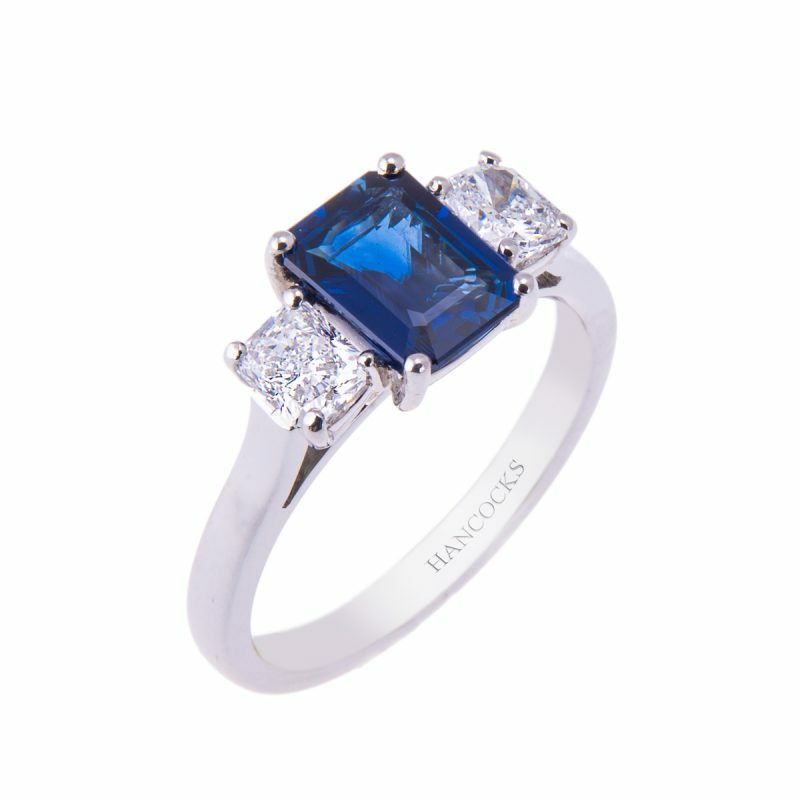 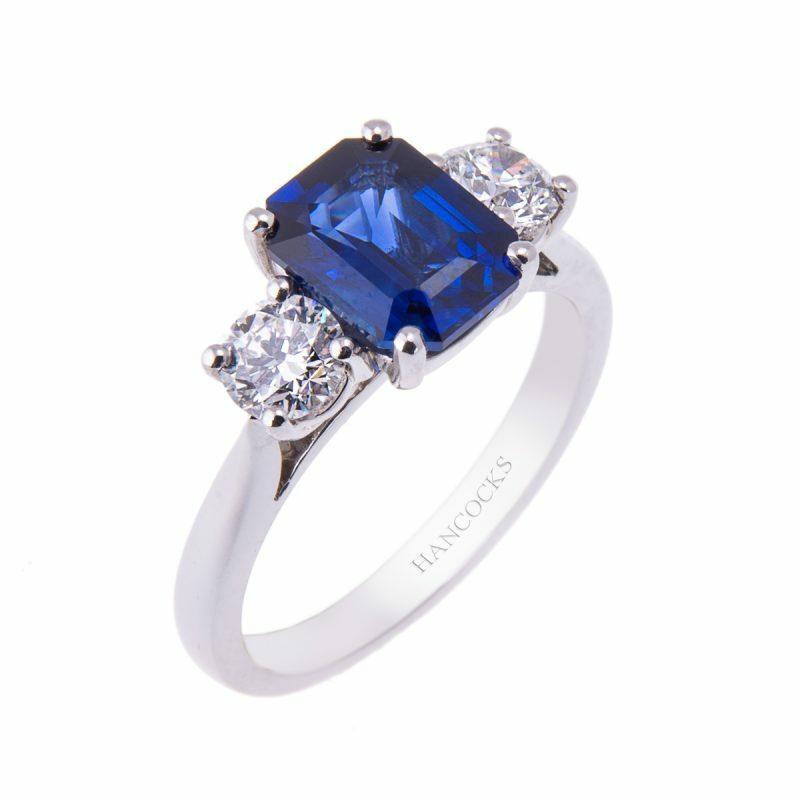 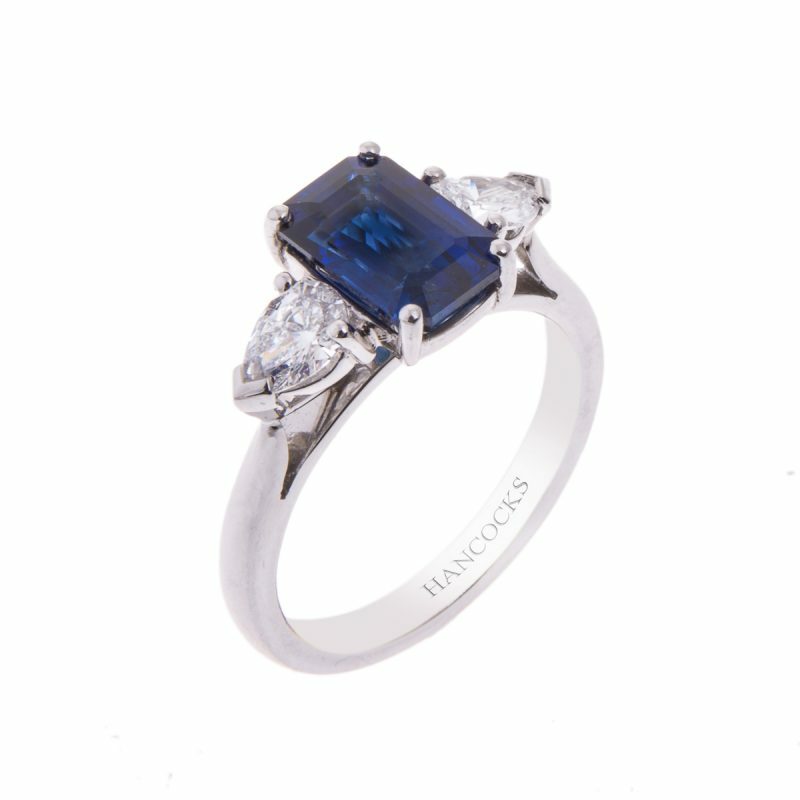 Less fiery but with dramatic flashes of light, the rectangular cut sapphire, when complimented by the sparkle of diamonds, create an uncluttered appearance hugely fashionable during the Art Deco period. 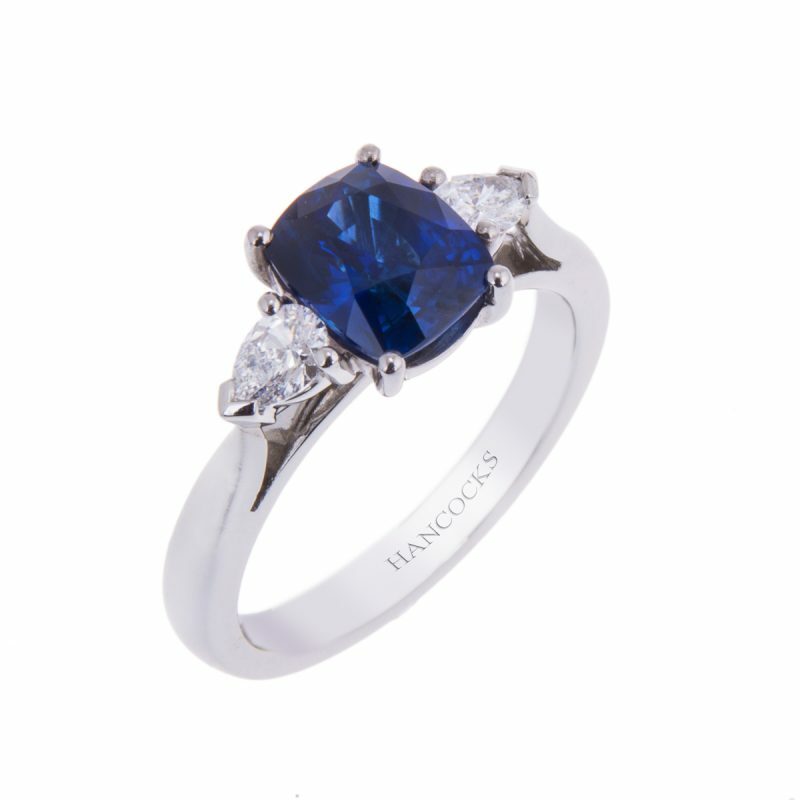 Sapphires are formed from the mineral called corundum and are second only to diamond in hardness making them a perfect choice for and engagement ring.